Coffee and a Book Chick: No Black Friday Here. I Like to Shop Small. No Black Friday Here. I Like to Shop Small. In the Coffee and a Book Chick house, we prefer to participate in Small Business Saturday. The idea of competing with a gazillion other buyers at the larger franchise stores is just stressful. Instead, contributing to the growth in the economy by supporting locally-owned businesses is much more helpful, not to mention extremely fun! And as you can imagine, independent bookstores are a treat to shop at. To help you with your shopping efforts this season, I've compiled a snapshot of those I've been lucky enough to visit this year. Add your favorite independent bookstore in the comments to give them some word-of-mouth marketing! If you aren't familiar with one in your area, click the button on the sidebar to help navigate to one in your town. 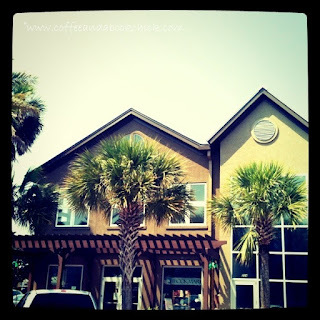 For six years, I lived in the North Florida area by Neptune Beach, outside of Jacksonville and was so thankful that The Book Mark was located in such a cute part of town right by the beach. Swing by and support Rona's shop! She and her team are extremely helpful and they always have phenomenal authors stopping by. On a recent trip to Florida, I purchased The Malice of Fortune and Shantaram (which I'm currently reading and the only thing I can share is WOW! Shantaram is amazing). 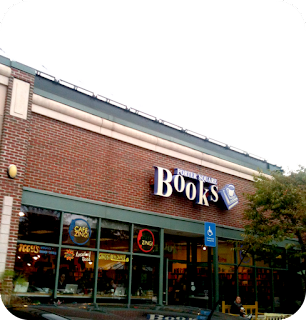 Moving bak to the Virginia Beach area, I head into Norfolk when I can and shop at Prince Books. It's also attached to a great cafe. On a recent trip to Boston and Maine, my husband and I swung by Porter Square Books. 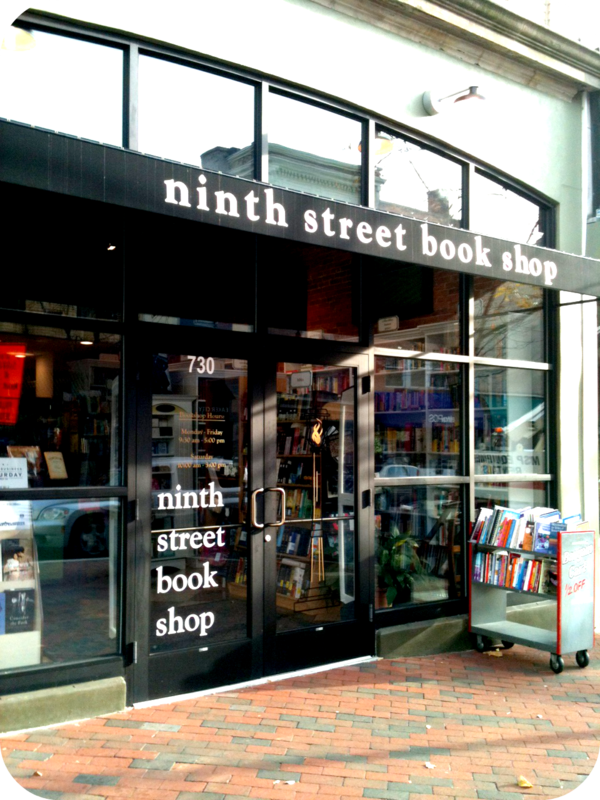 In the blogging world, you all may be familiar with this wonderful bookstore because The Boston Bibliophile is one of their booksellers. She was on an envy-inducing vacation to beautiful Italy at the time we stopped in, but we still happily browsed and purchased a couple books to support the store. I bought Live by Night by Dennis Lehane (it's autographed!) and I can't wait to dive in. This was a recent and fantastic find! 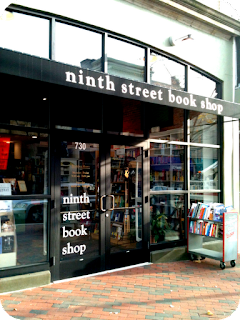 When I was in Delaware recently for business, I had an opportunity to swing by the Ninth Street Book Shop in Wilmington on the way home to Virginia. Meeting the owner Gemma was a delight; a nicer and more helpful person you will not find, I assure you. If ever in the Wilmington area, do make certain you swing by her store and support Gemma and Jack's new location. I bought Tana French's The Likeness which I can't wait to get into, considering how much I enjoyed her debut In the Woods. What a great post! I know my buddy who owns the wine shop does a great job of promoting Small Business Saturday. I sure wish some small business bookstores would come to Orlando! I love this whole post!! Such a wonderful idea -- Porter Square Books is one of my fav bookstores! No Black Friday for me either! I hate it - what a way to ruin Thanksgiving. 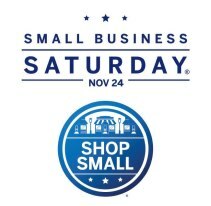 Small Business Saturday is the way to go! There are very few independent bookstores near me, and none I'm devoted to. The good ones closed. :[ But that's okay, I actually don't have any books to buy this holiday season. You go girl! I like to do that too. I usually Black Friday for things I need for the house (like a vacuum) and toys for Baby Whimsy. We're actually homemaking our Christmas gifts this year. You wouldn't catch me dead shopping on Friday. My favorite indie bookstore is Fiction Addiction in Greenville, SC. Let's not forget The Concord Bookshop in Concord, Mass. I love shopping small booksellers and small businesses in general. Anytime I travel I always make sure to find bookstores to visit. If I ever make my way East you have given me some good options to look out for! Browsing a quiet bookstore sounds a million times better than fighting the masses on Black Friday. Yikes. Thanks for the suggestions! We tend to stay indoors on Black Friday. I prefer to shop online for the holidays or small local stores. Great bookstores you visited. How fun. I avoid Black Friday at all costs. And, we have several really good used bookstores, but no indie bookstores any more. It's sad, really, because I do like to shop locally. I don't shop on Black Friday either...I like to think there are people alive in the world bc I choose to stay home (does that give you any indication of how I feel about crowds and rudeness??) I don't go out on Saturday either though...most of my holiday shopping is online although I do try to spread the love around...the two indie bookstores in my area are far enough away from me that I have to order online from them as well. Most indies offer online ordering these days...and I love it! Wonderful post :) I love Small Business Saturday and it makes me feel great to participate! Happy happy Thanksgiving Natalie! I hope you and the husband are doing well and life is good for you! Wonderful reminder to shop small - living in a small town that relies on that very concept, I am a true believer of supporting the local community! Happy Thanksgiving dear! I did some small business saturday shopping at a bookstore too - I went to Book Towne in Manasaquan, NJ. The town was badly affected by Sandy so it was great to see the store full on Saturday. I also really like Bank Square Books in Mystic, CT - I try to get there when I visit for work.